IRRI is leading innovations to provide adequate solutions to problems such as bacterial blight which severely affect rice production. In irrigated environments, bacterial blight can easily spread to large areas, causing up to 30% losses, a huge impact on the income for smallholder farmers in Asia. Major genes for resistance called Xa genes (e.g., Xa4, Xa5, Xa21), have already been used in rice breeding programs. However, despite the importance of these genes in controlling the disease, the bacteria adapted to these resistant varieties making them susceptible again. There is a need to continue discovering new ways and developing varieties that can protect farmers from losses due to bacterial blight. In a recent paper published on PLOS, scientists discovered variations of SWEET genes that make the plant resistance to Xanthomonas oryzae pv. Oryzae which causes bacterial blight. In normal conditions, the pathogen promotes the leakage of sugars by activating SWEET genes inside the plant cell. However, the new SWEET gene variants prevent sugar to be released. As a result, the bacteria fails to get nutrition from the host plant and it eventually dies”, explains IRRI senior scientist on plant pathology Ricardo Oliva. 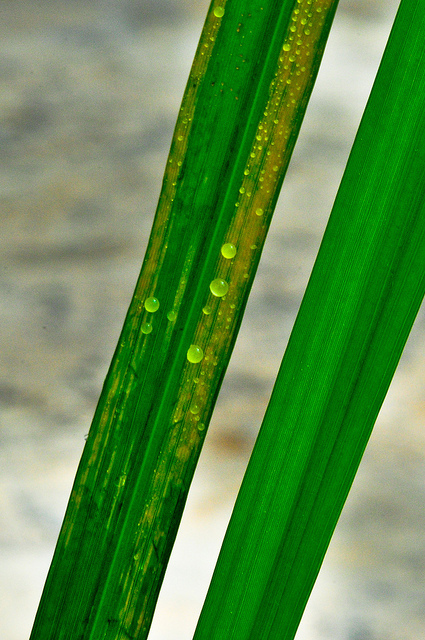 The gene naturally occurs in rice. “Using IRRI’s rich germplasm collection, we were able to discover the potential of variations in the SWEET gene to be used in breeding new blight-resistant varieties. The variations appear to have emerged from at least three rice subspecies”, Dr. Oliva adds. “This opens up the gates to use similar techniques to fight other pathogens in rice as well as in other crops such as corn, wheat, and cassava”, he adds. At present, this is already part of IRRI’s breeding pipeline and is expected to be available for use in a few years.